“Jonah Hex,” known for having the right side of his face disfigured and wearing a Confederate army uniform, was a rough-and-tumble gunslinger and part-time bounty hunter whose adventures always ended in blood. “Jonah Hex” first appeared in the early 1970s in the issues of “All-Star Western” before graduating to his own series in 1977 that ran for about 10 years. A new series was launched in 2005. The character also had a run in the 1990s that combined the Western genre with supernatural elements. 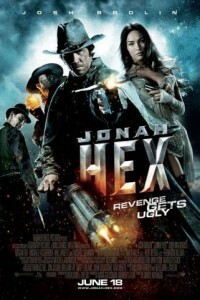 Oscar nominee Josh Brolin (“W”) stars as “Jonah Hex.” And Megan Fox (“Transformers”) costars.